During the process of fiber optic cable installation, cable connection is important to ensure the low attenuation and low return loss of signal transmission between cable and equipment. 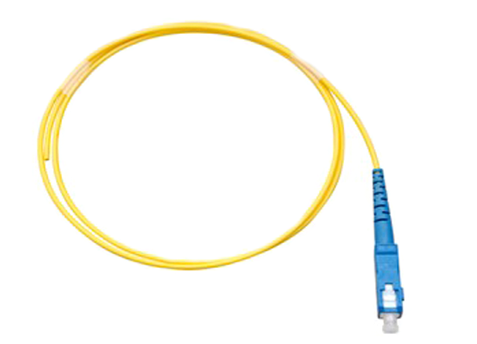 And fiber optic pigtail is a commonly used component for the connection of optical network. It is a piece of cable terminated with fiber optic connectors at one end and no connector at the other end. In this way, the connector side can be linked to the equipment and the other side can be fused with optical cable fibers. This article will emphasize on the types of fiber optic pigtails and their applications. Here are two classifications of fiber optic pigtails. Firstly classified by connectors, fiber optic pigtails has seven types including E2000, LC, SC, ST, FC, MU and MTRJ. Secondly classified by fibers, fiber optic pigtails has two types as single-mode and multimode. 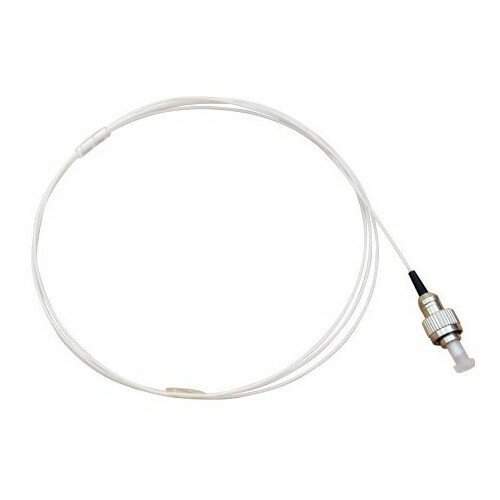 1)LC fiber optic pigtail uses the LC connector developed by Lucent Company. LC connector is now one of the most popular connectors in the world. A 1.25mm ceramic ferrule makes LC fiber optic pigtail a better choice for low cost but high precision signal transmission. 2) SC fiber optic pigtail uses the SC connector developed by Nippon Telegraph and Telephone. SC connector has a ceramic ferrule of 2.5 mm. Its light weight and cost-effective features enable different applications of SC fiber optic pigtail. 3)ST fiber optic pigtail uses the ST connector developed by American Telephone & Telegraph. ST connector has a 2.5mm bayonet-styled ferrule. It is one of the eldest generations of fiber optic connectors. But it is still used for many fiber optic applications, especially for multimode fiber optic communications. 4)FC fiber optic pigtail uses the FC connector developed by Nippon Electric Company. The connector features the screw type structure and high precision ceramic ferrule. FC fiber optic pigtail is usually used for general fiber optic applications. Single-mode fiber and multimode fiber are both used for fiber optic pigtails. 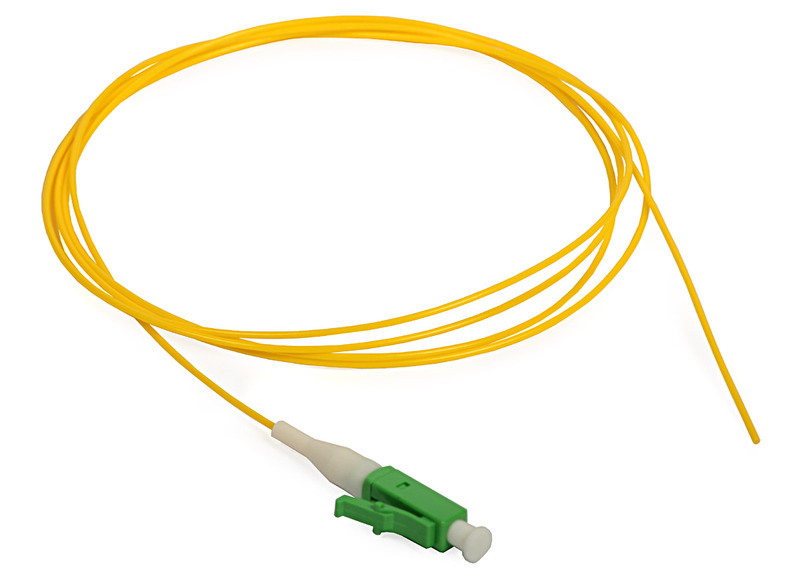 The single-mode fiber optic pigtail has a 9/125 micron core size. SC, LC, ST, FC and E2000 connectors are all fit for this kind of fiber. As for multimode fiber optic pigtails, there are two different core sizes. One is 62.5/125 micron of OM1, and the other is 50/125 micron of OM2, OM3, OM4. SC, LC, ST, FC connectors are adaptable to multimode fiber optic pigtails. Fiber optic pigtail sometimes has multiple fiber strands, including 4 fibers, 6 fibers, 8 fibers, 12 fibers, 24 fibers, 48 fibers and so on. This helps the effective interconnection and cross-connect in various applications. Since fiber optic pigtail supports fusion splicing, it is often used with devices like optical distribution frames, splice closures and cross cabinets. In summary, fiber optic pigtail is a cable that only one end is terminated with connectors. The other end can be melted with optical fiber for a permanent connection. 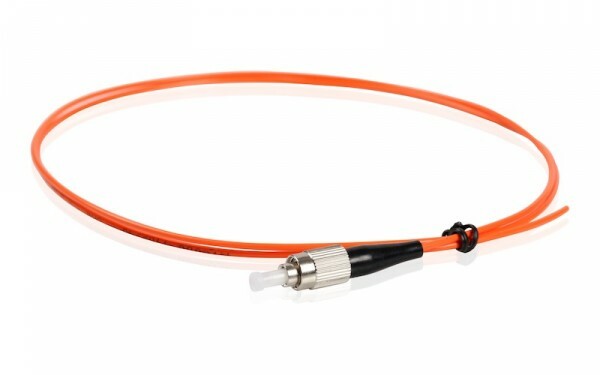 You may choose the adaptable fiber optic pigtail from the perspective of connector types, fiber types, strand numbers, etc. Hope this article can provide a little help.